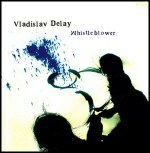 Whistleblower sounds like a concept album, a charting of an insular submarine world where the lapping synths and burbling sub bass from outside are balanced against a clatter of mechanical and human presence. There has always been something vaguely aquatic about the deep echoes and reverb ripples of ambient dub, something submerged far below and out of sight from choppy surface seas. Casting aside the overt pop inflections of his recently polished Luomo moniker, Vladislav Delay seems to have aimed his submersible straight for those icy depths. Whistleblower sounds like a concept album, a charting of an insular submarine world where the lapping synths and burbling sub bass from outside are balanced against a clatter of mechanical and human presence. The vessel seems to be faulty in some way: its hull creaks and groans in the darkness of the ocean bottom, and constant clank and murmur of necessary repair work resonate through the curving interior, forming rhythms that seem almost incidental. It is above all an exercise in atmosphere, the entire album constituting a single cinematic sprawl in which individual track delineations seem unnecessary, and the mood -- cold, clear, isolated -- is as complete as the enclosing waters above.